Australia's top Cabs are in styles to fit nearly all tastes. Regionality. It’s one of the current buzzwords in Australian wine, ever since the release of the industry’s Directions to 2025 report least year. Heralded as a way of countering a decade of declining prices and a trend toward blended wines, the report cites “Regional Heroes” as “wines from somewhere rather than wines from anywhere—adding and sustaining interest for consumers by fostering a clean association between region and cariety and/or style.” Bleah. This sort of yawn-inducing marketing-speak may be helpful to business managers, bankers and accountants trying to pry more money out of your pockets, but what does it really mean for you, as a consumer? At least with respect to Cabernet Sauvignon, it means a wide range of wine styles, broadly correlating to grape origin. Cabernet Sauvignon is the second-most planted red-wine grape in Australia, accounting for more than 70,000 acres of vineyards spread across a country the size of the continental United States. And much as Long Island-grown Cabernet Sauvignon tastes little like Napa Valley Cabernet, the Cabernets from Western Australia tend to bear little resemblance to those from the Barossa, those from Yarra Valley differ from McLaren Vale, and so on. It’s a simple matter of soil and climate differing from place to place, a concept so old that the French long ago coined a word for it—terroir. At the budget end of the Australian Cabernet spectrum, terroir is a nonfactor. Winemakers typically use lots from several different regions to fashion easy-drinking blends, using the strengths of one to shore up weaknesses in another. A splash of crisp, herbaceous material from a cool climate may be just what’s needed to perk up a thick, jammy wine from a warm, inland region, or a bit of high-alcohol wine can add flesh to the lean structure of another. at comfortable prices—and the better examples earn Best Buy commendations from the critics (see sidebar). But these wines rarely move beyond the realm of daily drinkers into wines possessing uniqueness, complexity, length and the ability to improve with age. Cabernet lovers seeking those attributes need to step up and try wines sourced from more specific regions. Here’s an alphabetical rundown of the major possibilities and the top recently reviewed wines. 97 Penfolds 2004 Block 42 Kalimna Cabernet Sauvignon (Barossa Valley); $225. This is incredibly dark, concentrated stuff from what may be the oldest (planted in 1886) continuously producing Cabernet vineyard in the world, located in the Kalimna portion of the northern Barossa Valley. This special selection—chief winemaker Peter Gago calls it “unadulterated essence of Cabernet”—is bottled only in top vintages (since 1964, only 1996 and 2004); in other years it forms the backbone of Penfolds Bin 707 Cabernet Sauvignon. Minty, herbal notes combine with chocolate and cassis to yield a complex, balanced whole. Despite the density of the fruit, there’s absolutely no sense of heaviness or excessive weight, and while the tannins appear creamy on the midpalate, they fan out into a silky sheen on the lingering finish. About 500 cases produced. Drink 2012-2030. Imported by Fosters Wine Estates. Better known for its Shiraz, Barossa’s warm climate also fully ripens Cabernet Sauvignon. Sometimes too much so, losing the subtle complexities of the variety and turning its trademark structure into a soft, flabby wine with cooked-fruit aromas and flavors. Top examples combine a slight minty herbaceousness with great richness and power, and are often sourced from slightly cooler sections, such as Eden Valley. Higher in elevation and subject to greater day-night temperature differences, Clare Valley Cabernets are less prone to overripeness than those of the Barossa. Although most Americans probably are more familiar with Clare Valley Riesling than Cabernet Sauvignon, the variety seems well suited to Clare, producing wines that are classically balanced, with tobacco overtones to the rich cassis fruit and firm tannins. The variety of microclimates and producers make it difficult to generalize about vintage quality; Jim Barry’s The Benbournie excelled in the coolest year on record (2002), while Wakefield Estate’s 2001 (a hot year) eclipses its 2002. This is the region that can truly be said to be home to Australian Cabernet, with a track record of producing complex and ageworthy Cabernets that goes back for several decades. Coonawarra’s famous terra rossa soils overlay a limestone ridge that provides excellent water-holding capacity, although irrigation is the norm. The climate is moderated by proximity to the ocean, although it remains subject to occasional spring frosts—severe frosts in 2007 cut yields by up to 70 percent. In top years, the wines are ripe, concentrated and balanced, the cassis fruit often marked by mint or eucalyptus characters. In lesser years, or from less conscientious producers, that green edge can be pronounced. Australian winemaking legend Wolf Blass is a huge fan of Langhorne Creek Cabernet, which he almost singlehandedly put on the map with a series of great wines back in the 1970s. But lacking the panache and saleability of other South Australia wine regions, Langhorne Cabernets are often blended in with other wines, such as Wolf Blass’s Black Label Cabernet-Shiraz at the high end, or Heartland’s less expensive 2005 Cabernet Sauvignon, which blends Langhorne Creek fruit with a dollop from the Limestone Coast. The mild climate, deep alluvial soils and ample yields result in typically fruit-driven and softly structured Cabernets. Winemaking in Margaret River goes back only 30-odd years, a result of John Gladstones’ pioneering 1960s research into climate and viticulture. With chilly ocean currents on three sides, Margaret River has a strongly maritime climate, which prompted comparisons to Bordeaux and the initial plantings of Cabernet Sauvignon and Merlot. Today, the region has added Chardonnay and Riesling to its repertoire, but its greatest strength is still Cabernet Sauvignon, which can show great complexity and finesse allied to rich fruit. The best examples resemble ripe-vintage Bordeaux, but marked by softer tannins. With its multitude of mesoclimates and varied topography, it’s difficult to generalize about McLaren Vale Cabernets, but for the most part they fall somewhere between the warm, superripeness of Barossa and the more herb-inflected wines of Coonawarra. The fruit can be dark and sometime chocolaty, but remains balanced by bright acidity (natural or added). 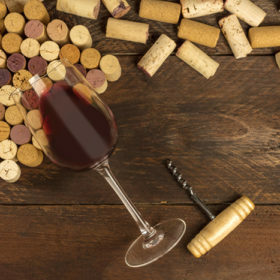 Tannins are soft, sometimes accompanied by alcohol levels that can reach 15 percent. Of the premium Cabernet regions, this is the one that currently offers the most bang for the buck, with several top-rated wines retailing for $30 or less. Although probably better known today for its Chardonnay and Pinot Noir, Swiss immigrant families first began growing Cabernet in the Yarra back in the 19th century, a tradition that was reawakened only in the late 1960s when pioneers such as John Middleton of Mount Mary and Bailey Carrodus of Yarra Yering were drawn to the region by its unique climate. The cool weather—average summer temperatures are lower than those of Bordeaux or Burgundy—makes site selection of paramount importance, and emphasizes the effects of vintage variation. “You need to be facing north for Cabernet,” says Dominique Portet, who started his Yarra Valley winery in 2000. Many Yarra Valley Cabernets have distinct herbal components that can veer into the vegetal realm in off years, yet bring wonderful complexity to the wine in ripe vintages. Some of the 2004 wines are nice, but look for remaining 2003s—”probably the best Cab year I’ve seen here,” according to winemaker Rob Dolan—and newly arriving 2005s. Aside from these major names, plenty of other regions in Australia are making successful Cabernet, from Adelaide to Wrattonbully. Don’t discount a wine simply because it doesn’t come from one of the regions detailed here. Longview, in the Adelaide Hills, made top-notch Cabernets from its Devils Elbow Vineyard in both 2005 and 2006. Wrattonbully, with terra rossa soils like those found in Coonawarra, is an up-and-coming region in which both the Hill Smith family (the owners of Yalumba) and Jean-Michel Cazes have invested. Both endeavors have yielded encouraging results; Mawson’s (the Hill Smith project) garnered 90 points and a Best Buy, while the more expensive TapaNappa rated 89 points in its first vintage. Beyond South Australia look for wines from Balgownie Estate and Water Wheel, both in Victoria’s Bendigo region. From Western Australia’s Frankland River and Great Southern regions come excellent Cabernets from Frankland Estate, West Cape Howe and Howard Park. There’s credible Cabernet to be found even in such offbeat locales as Orange and the Southern Highlands. “I recently tasted a great one from Tasmania,” enthused retailer Chuck Hayward of The Jug Shop in San Francisco, when I spoke with him about this story. Unfortunately, the wine he was referring to—Domaine A’s flagship Cabernet Sauvignon—is not currently imported to the United States, but it does help illustrate the breadth of Australian Cabernet. For savvy consumers looking for alternatives to confected California Cabs or overpriced Bordeaux, Australia’s diverse Cabernets represent a whole new continent of opportunity. For reviews of all the wines tasted, visit our online Buying Guide at www.wineenthusiast.com/mag.